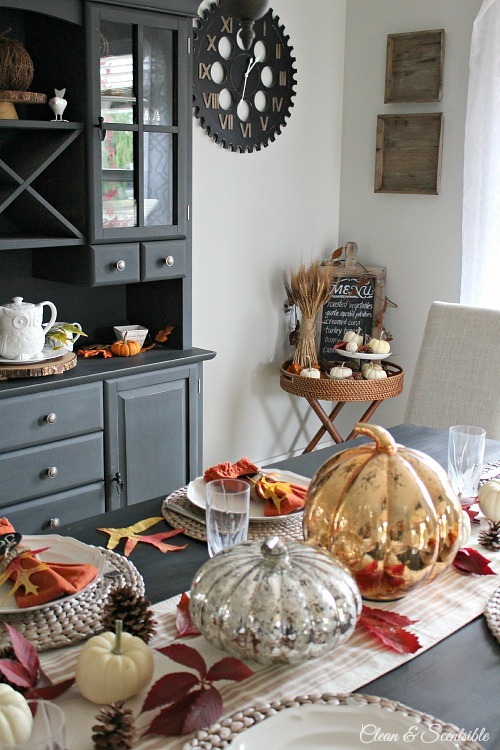 …and now you will actually get to see the rest of our fall and Thanksgiving dining room! 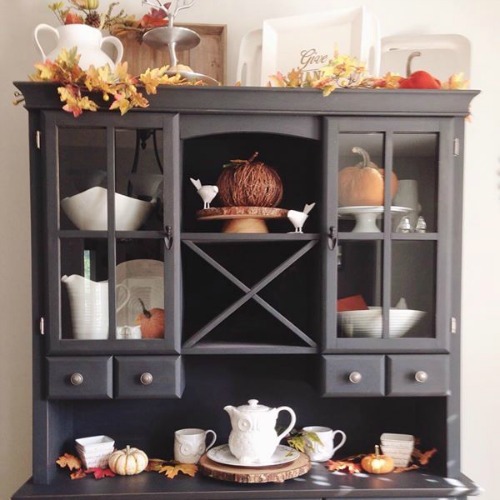 One of my favorite things to decorate each season is our buffet and hutch. 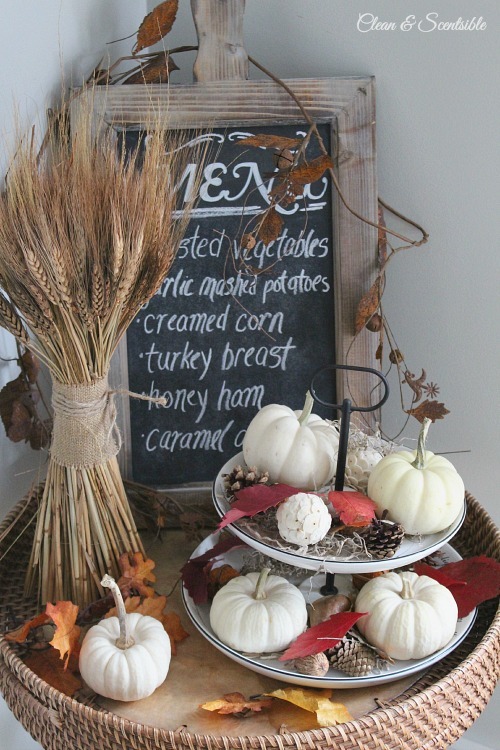 I don’t do anything too fancy but it is always so much fun to dress it up with some fun seasonal decor. One of the other things I always like to do each season is change up our chalkboards. 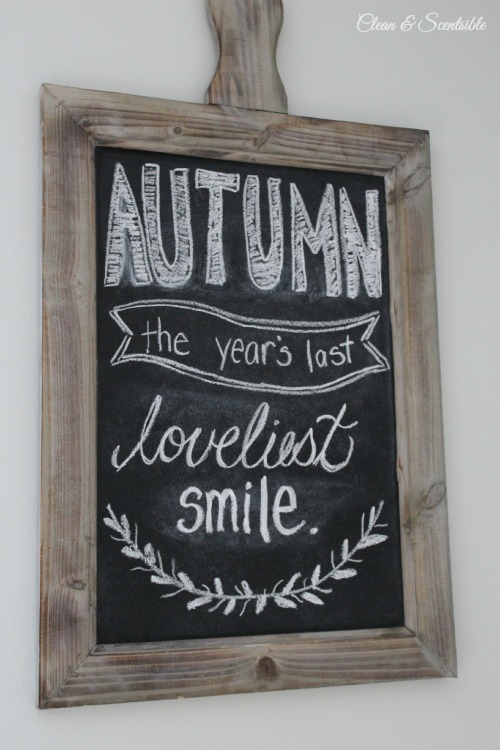 I am slightly obsessed with chalkboards so I have quite a few of them around the house. 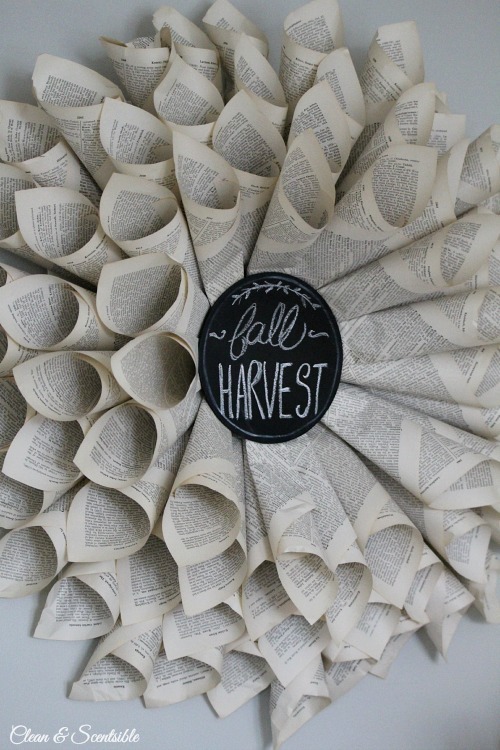 Even my book page wreath has a chalkboard! 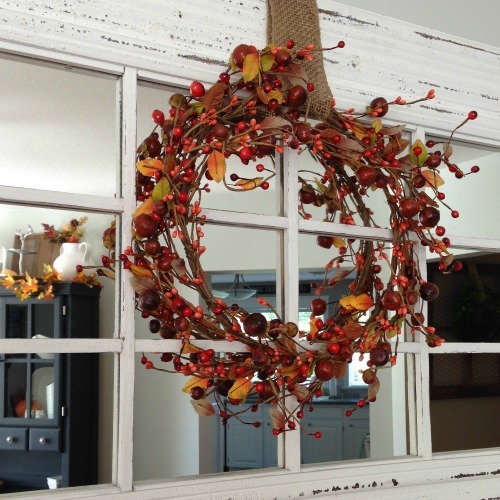 Fall is such a beautiful season to decorate for – I love all of the gorgeous fall colors and natural elements that the season brings with it. 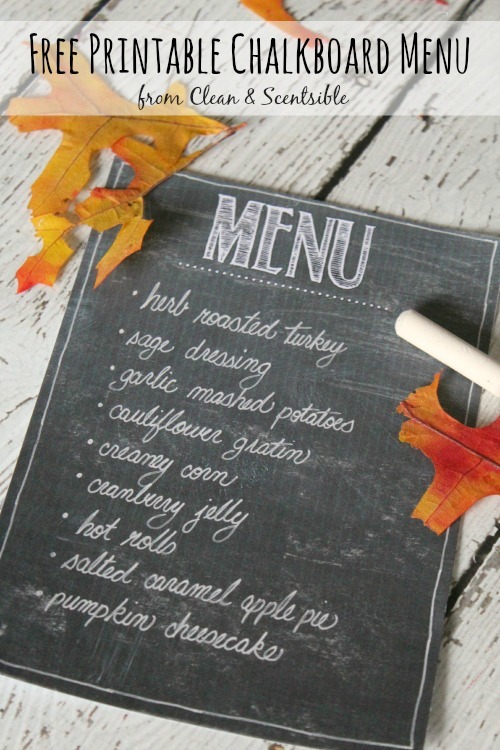 You can find my free printable chalkboard menu HERE. Thanks so much for including me in your series Bre! It was wonderful! It’s beautiful! 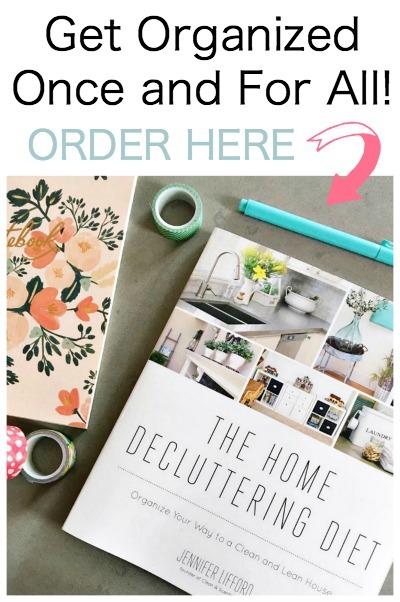 I dunno how you got *everything* to match, but goodness, does it! 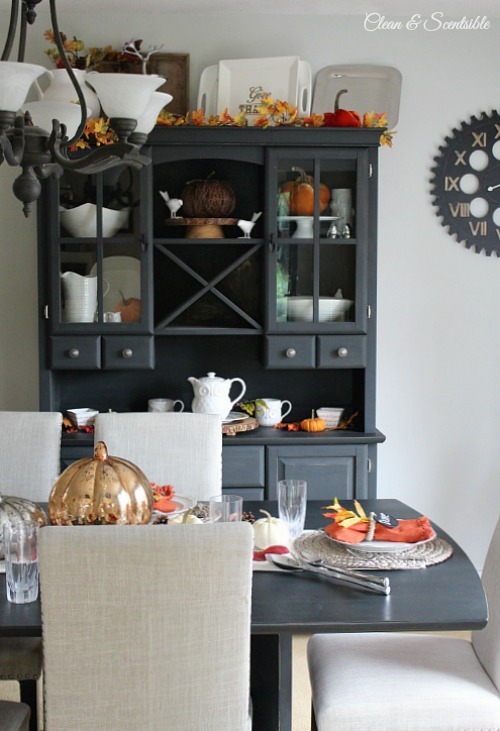 Jenn, your dining room is beautifully decorated and such an inspiration! 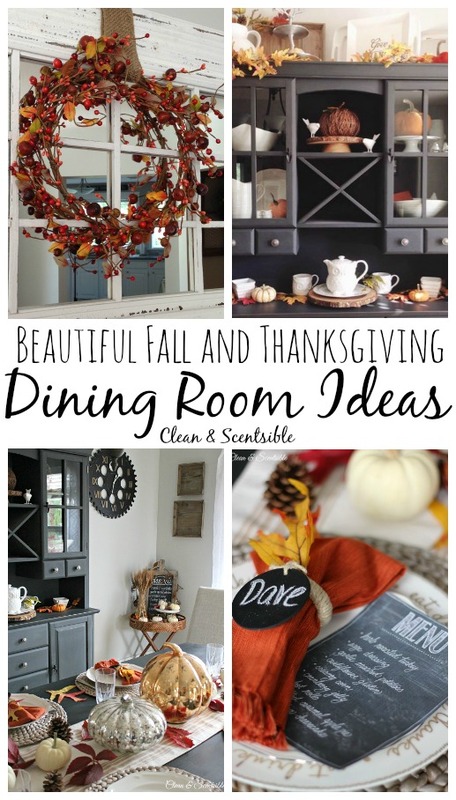 I love all your chalkboards! I love every creative detail Jenn! 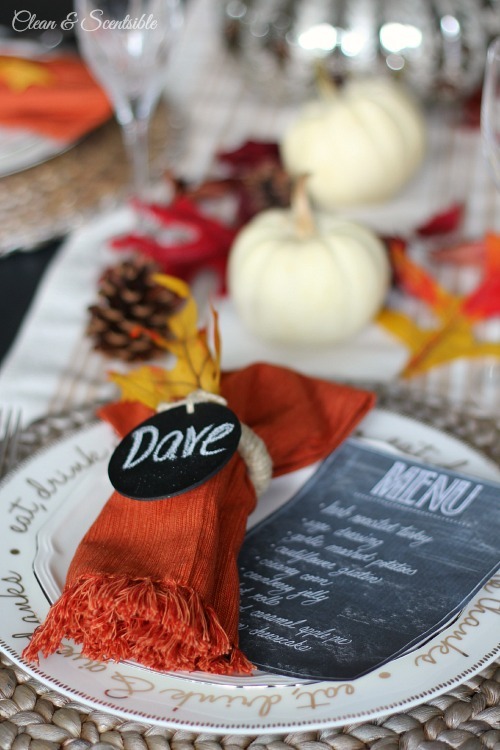 Fabulous job…super cute chalkboard menu too! 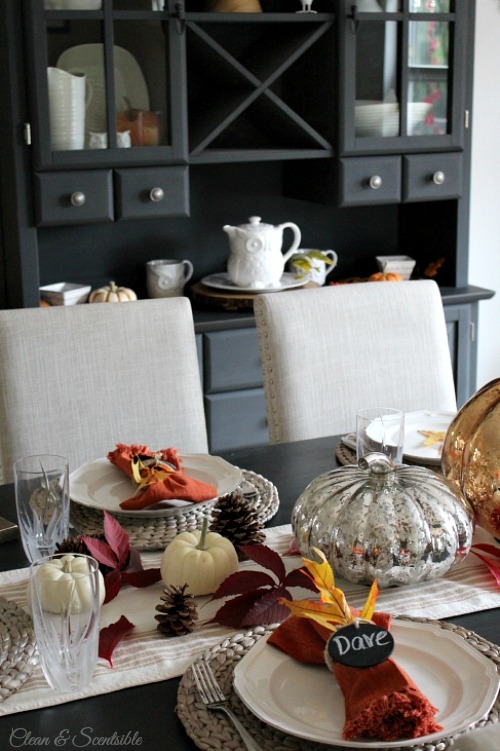 beautiful table….especially love the book page wreath. 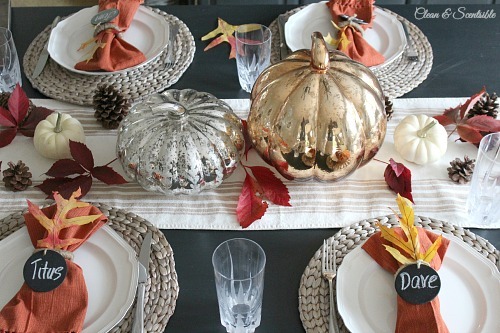 Jenn, your tablescape is so perfectly gorgeous! Those menus!! Is your handwriting really that gorgeous!!? ?